CINOGY Technologies GmbH is a spin-off from the University of Applied Science and Arts in Göttingen, Germany. The founding was lead by the vision of producing and marketing own inventions for beam profiling solutions. The development, manufacturing and distribution of high- quality laser beam profiler and accessories for industrial and scientific applications are the main business of CINOGY Technologies. CINOGY Technologies takes the time to find out what customers require, and constantly search for the best solution and services that meet those requirements. Based on many years of experience, we can benefit from a profound know-how to fulfil almost every beam profiling requirement from the UV to IR wavelength range. The enhancement of product quality, process reliability and efficiency are just a few of the many benefits of the unique beam profiling system. 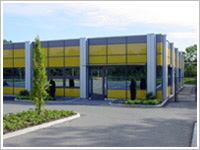 CINOGY Technologies has a worldwide presence with local sales partners throughout Europe, USA and Asia. The strong bond to these sales partners reflects the success of our business with high-quality beam profiling solutions. Near-Field and Far-Field analyses of lasers, LED devices, etc.